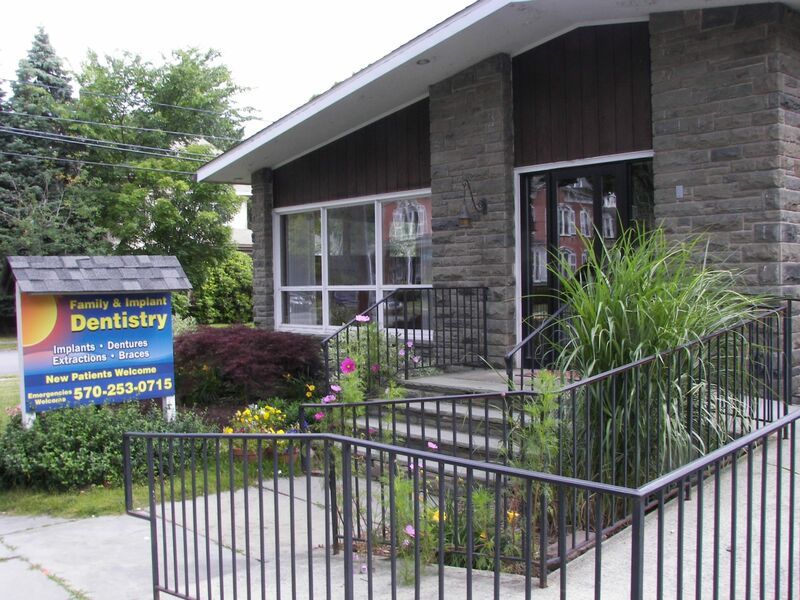 Welcome to our dental facility, Honesdale Family and Implant Dentistry, where we strive to provide the best dental care in a friendly, relaxed atmosphere. Helping you achieve a beautiful smile and optimum oral health are our top priorities. We provide many general and specialty services, so we can meet the needs of your entire family. You'll enjoy the convenience and excellent care we offer. We've included an extensive section in this web site covering a full array of topics associated with dentistry and dental diagnosis. We encourage you to look through these pages and hope you will find this site useful. We are ready to listen to your concerns and create a plan that fits your needs. We invite you to contact us to ask questions or make an appointment. We look forward to seeing you. Currently we participate with the following insurance plans: Aetna PPO, Cigna PPO, Delta Premier, Guardian, Metlife and United Concordia, Unicare, Fidelio, and Most Blue Cross and Blue Shields. We also offer CareCredit.